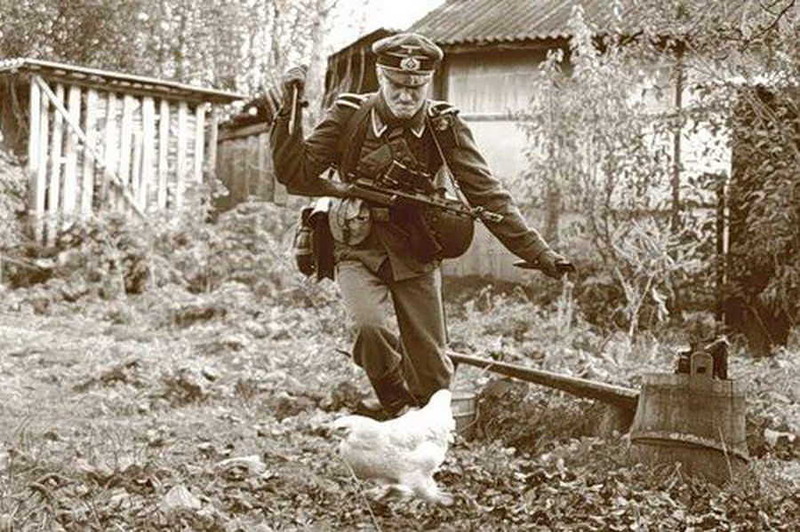 A German soldier messing around with a cat on his head in Ukraine in 1943. 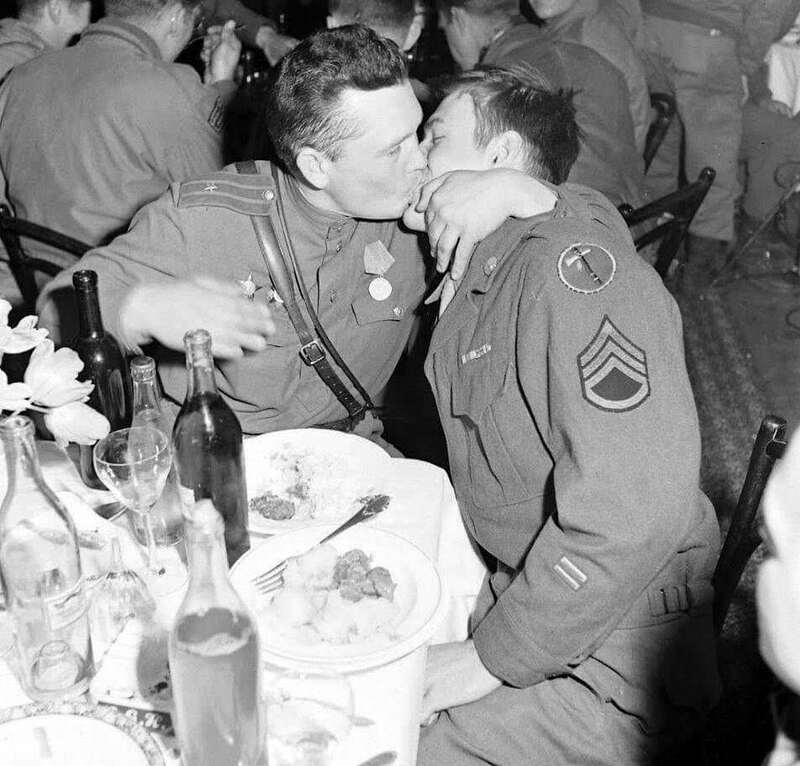 A Russian and American soldier kiss during a celebration party after WWII ended in Germany in 1945. 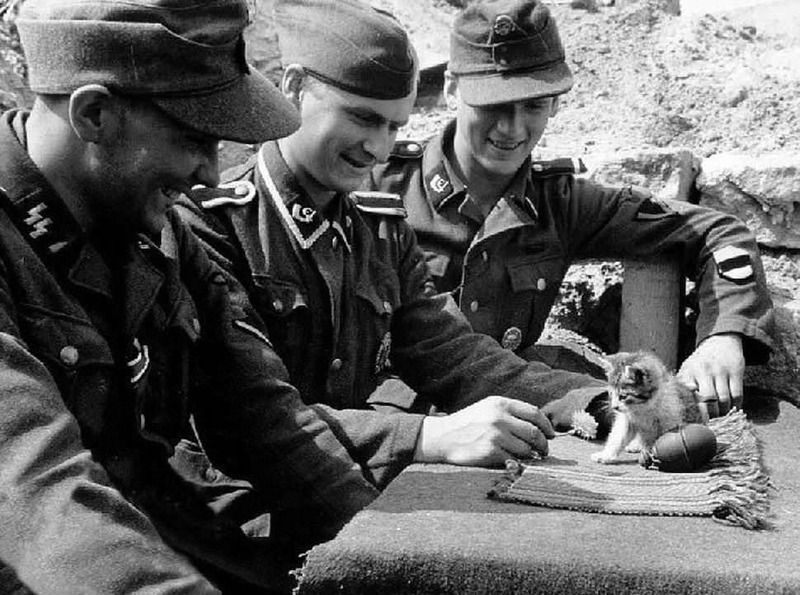 German soldiers playing with a kitten in 1940. 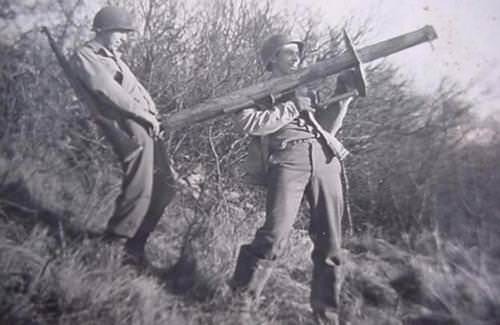 American soldiers messing around while training in the US in 1942. 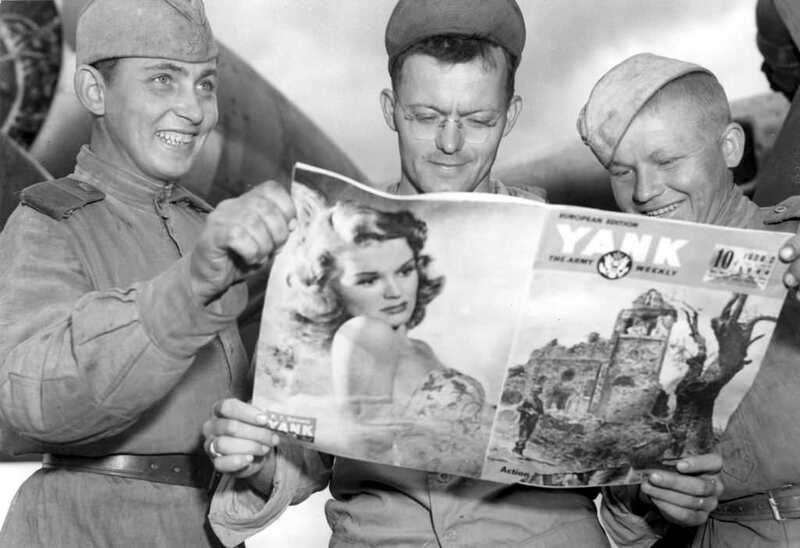 Soviet soldiers browsing an American Army magazine, full of pinup models, in Germany in 1945. 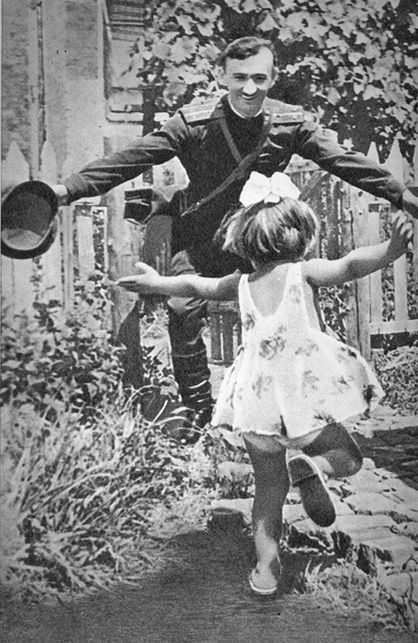 A Soviet soldier returning home to greet his daughter in the USSR in 1945. 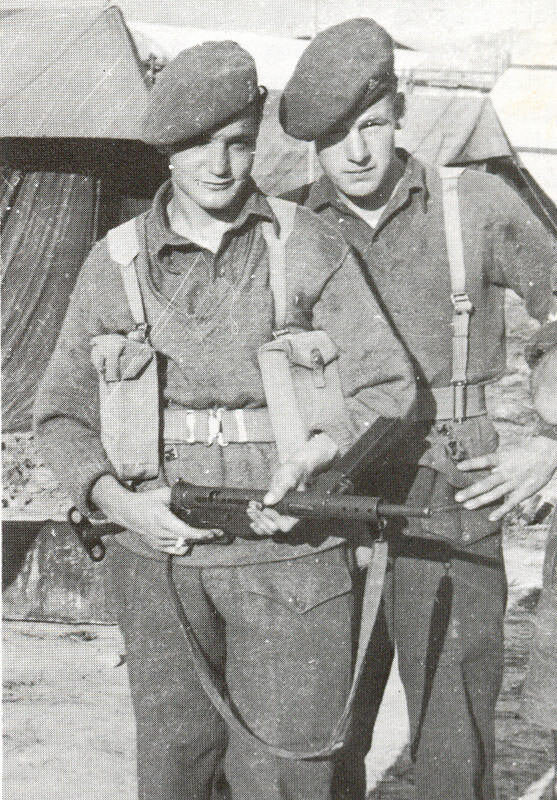 British soldiers posing for the camera in 1942. 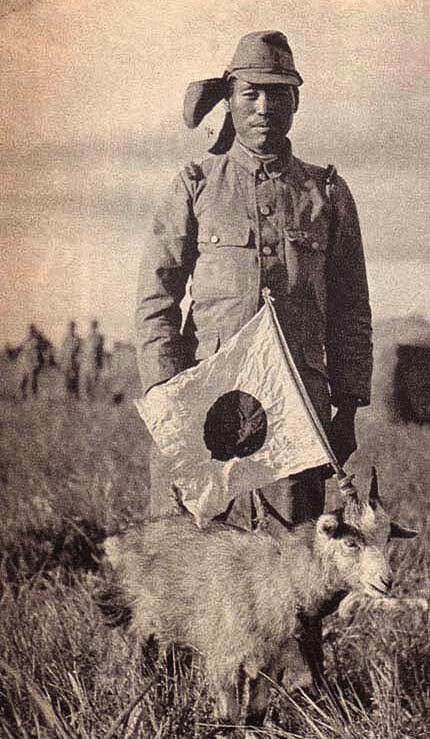 A Japanese soldier posing after he put the Japanese flag on a goat in Korea in 1939. 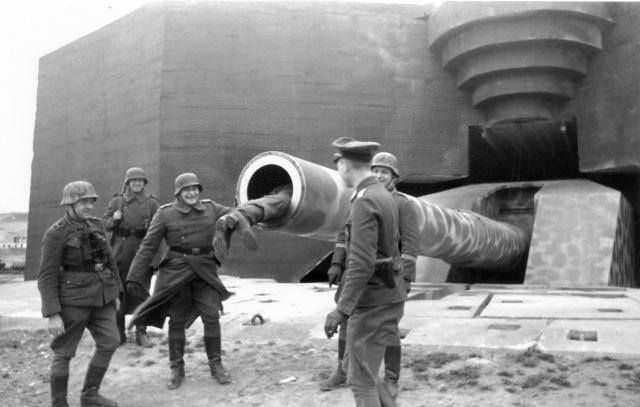 German soldiers goofing off by a bunker in France in 1943. Shirley Temple kissing a soldier in the US in 1944. 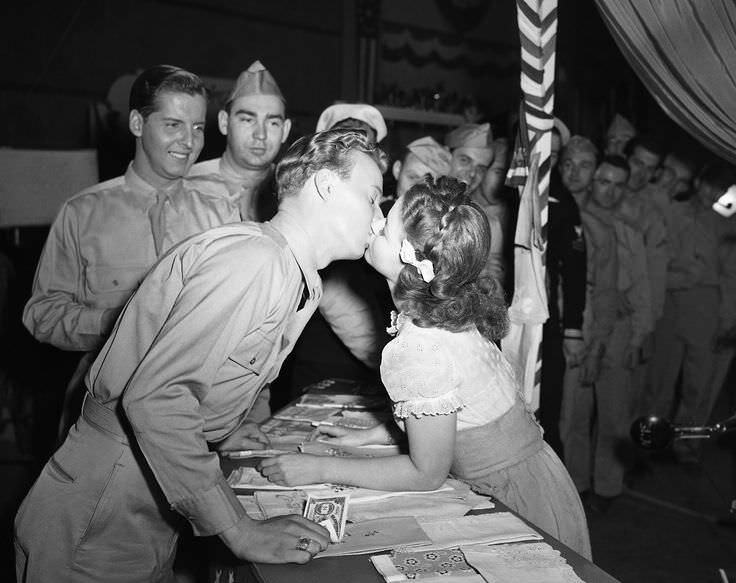 She was selling kisses as part of a war bond tour. 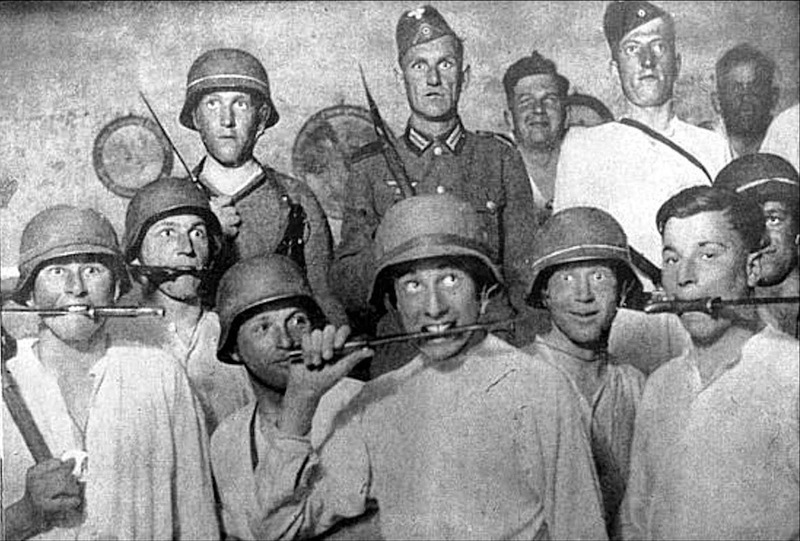 German soldiers goofing off in 1941. 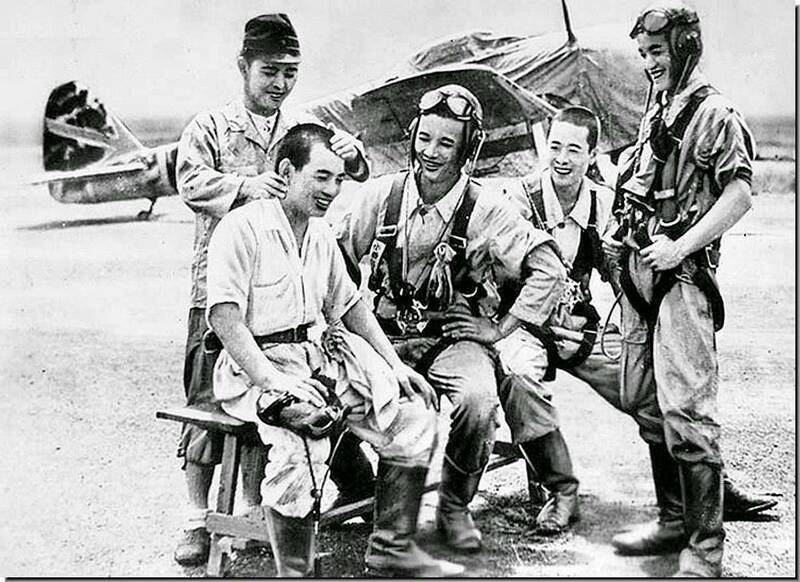 Japanese pilots having a laugh in Burma in 1942. These were regular pilots, not Kamikaze pilots. 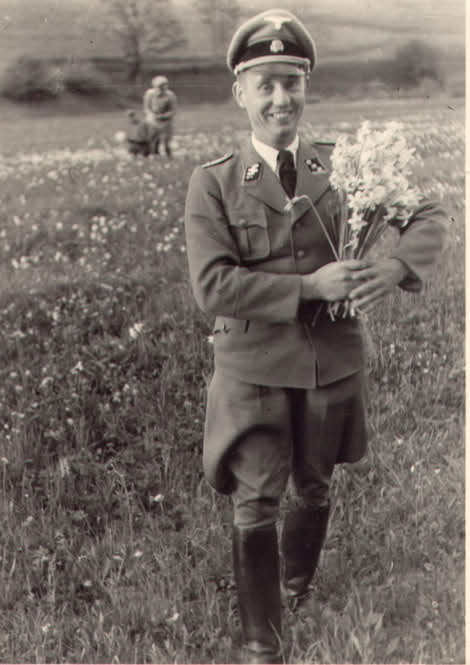 A German officer picking flowers in Poland in 1941. 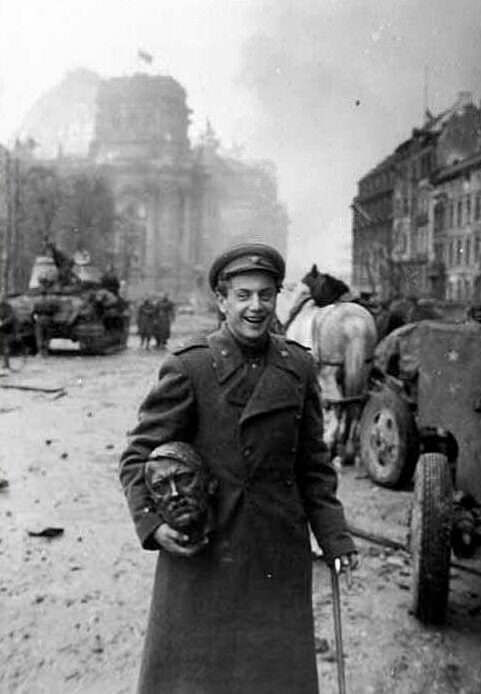 A Russian soldier laughing as he holds the head of a destroyed statue of Hitler in Germany in 1945. 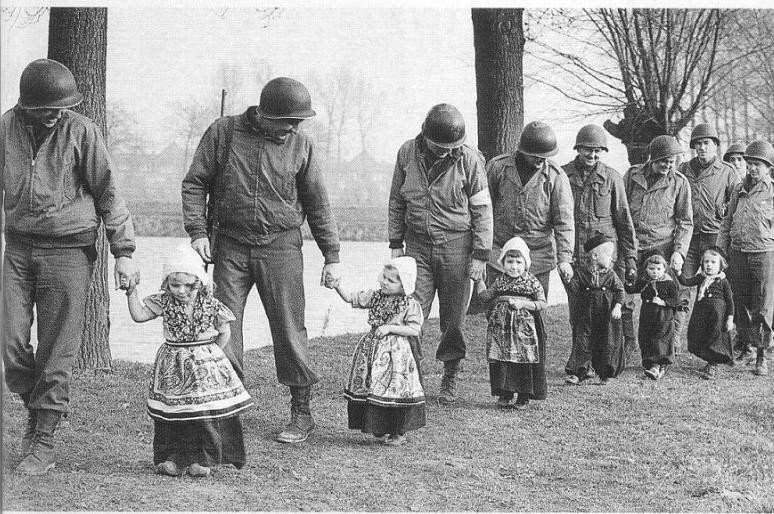 US soldiers walking with Dutch children in The Netherlands in 1945. 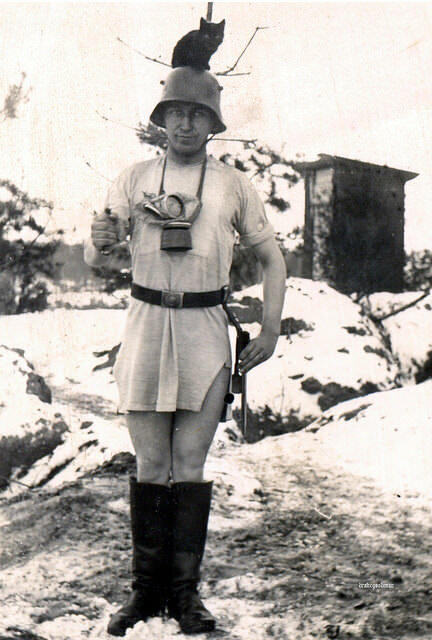 A German soldier having some fun as he goes after dinner in Russia in 1943. 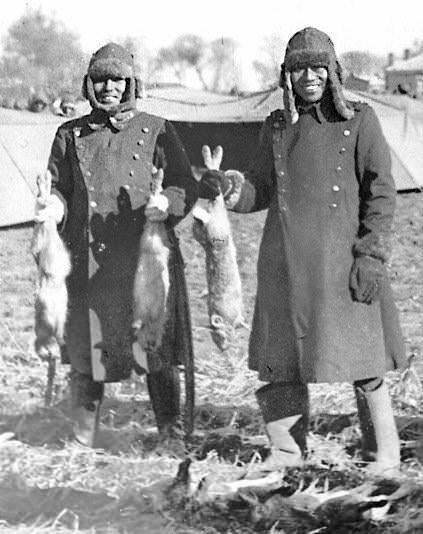 Japanese soldiers showing off what they hunted for dinner in China 1938. 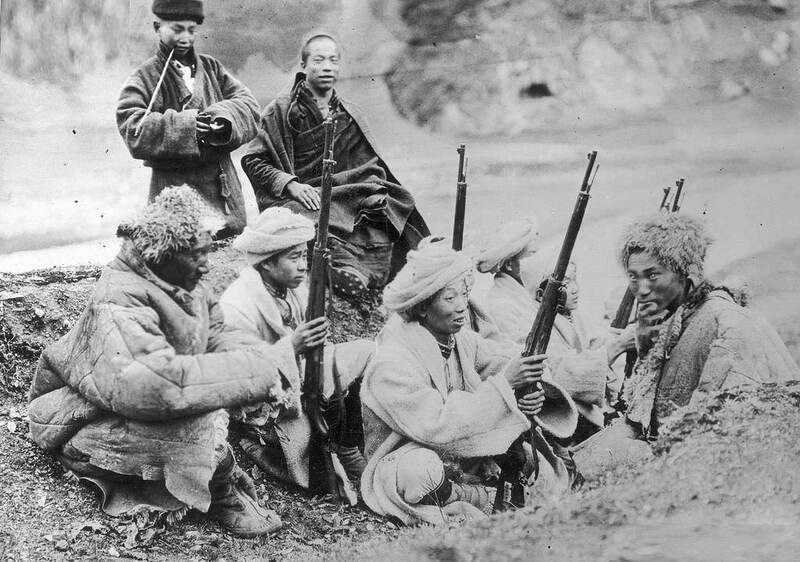 Tibetan soldiers during some down time during WWII in China in 1943. 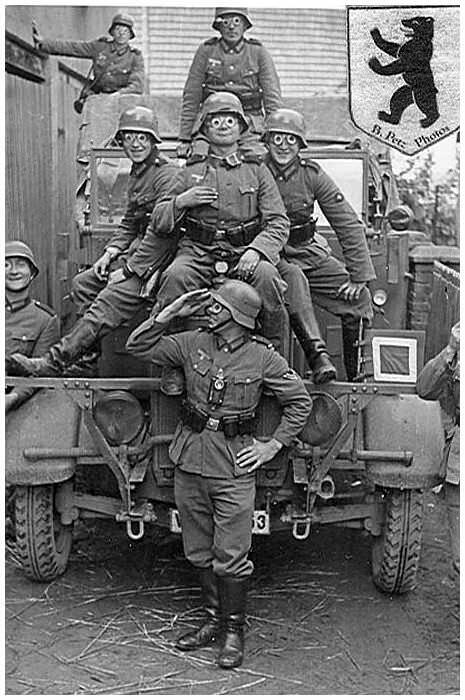 German soldiers messing around near the Russian front in 1943. 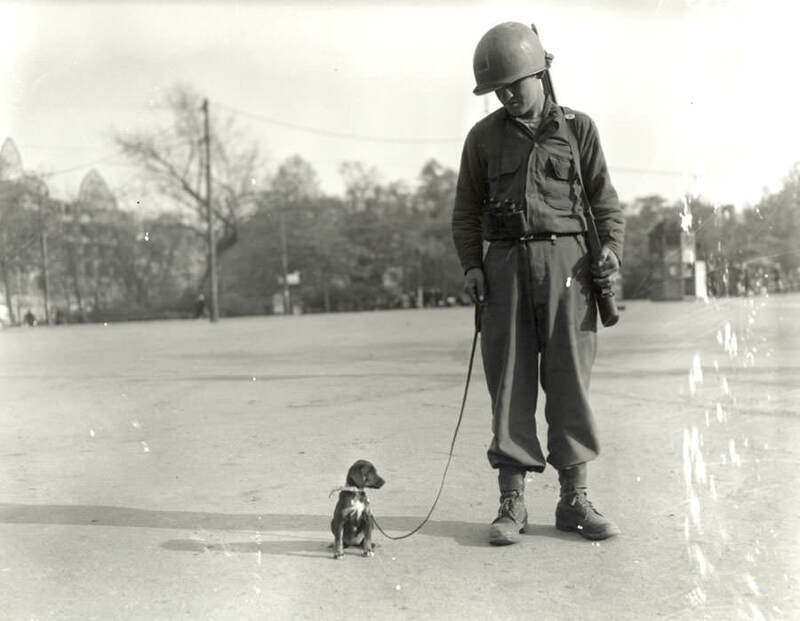 An American soldier walks a puppy in England in 1944.